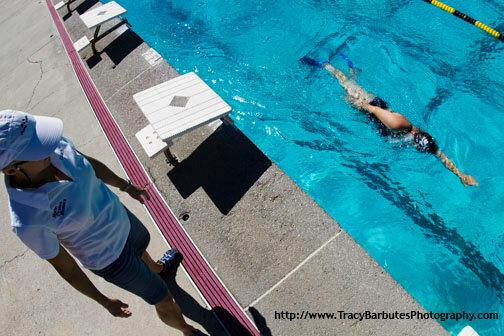 Learning how to swim doesn’t have to be tedious or stressful but can, in fact, be lots of fun, if the right approach to swimming instruction is used. This article explains our approach (think baby steps and swimming drills). 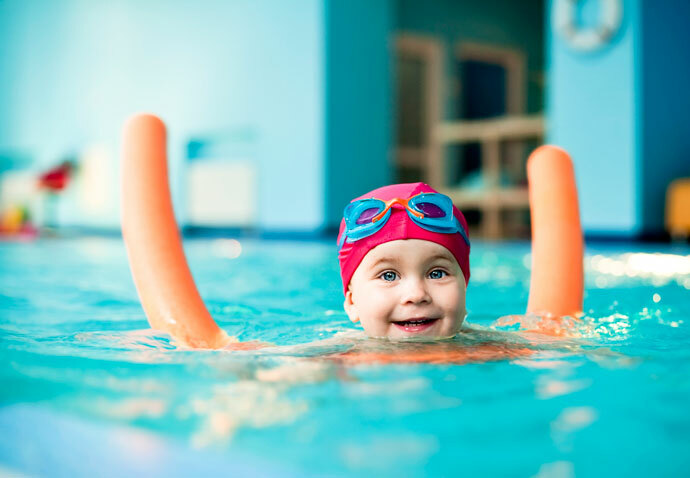 This article also gives you an overview of the swimming lessons available on this website. 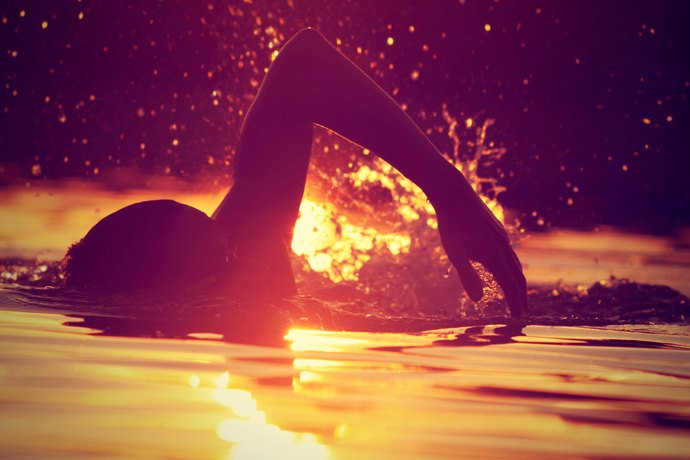 In the past, learning how to swim was often literally a sink or swim experience. I remember being thrown in the water by my swim instructor when I was a child. I then had to swim a few meters, trying not to drown, while my instructor was standing on the deck, yelling at me and mimicking the movements I was supposed to do in the water. If things became too overwhelming, I was allowed to grab a pole he was holding in front of me. Needless to say, back then learning to swim was stressful and we swallowed lots of water. Thank goodness nowadays we know that it is possible to teach swimming in a much more enjoyable way that doesn’t have to be stressful at all. You can now learn each swimming stroke by teaching yourself a sequence of progressive swimming drills. These drills teach you all the skills you need for each swim stroke, one baby step at a time. As each drill builds on top of the previous one, you can gradually integrate the different parts of a swim stroke. Once you have mastered the last drill in a sequence, it will seem that you have learned a swim stroke almost magically, without struggle. Basic Swimming Techniques: If you are a novice, it is important to know a few basic techniques so that you can be comfortable in the water. Once you have mastered these techniques, you will be able to learn how to swim the popular swimming strokes with more ease and relaxation. Learn To Swim the Front Crawl: This article series teaches a sequence of swimming drills to learn the front crawl with ease. At first, you learn static balance while you float on your back, on your chest, and on your side. Then you learn dynamic balance, which means you must maintain balance while you switch between different positions. After this, you learn how to both keep balance and maintain a long body. Then in the final drills, you integrate whole stroke arm motions and swimming rhythms. Learn Swimming Breaststroke: This article series teaches swimming drills to easily learn the breaststroke. At first, you practice arm motions, leg motions and breathing in isolation on dry land. Then you practice each part of the swim stroke in the water using pull buoys and water noodles for additional support. Finally, you integrate and practice all the parts of the stroke in the water, first with swimming aids and then without which means you finally swim breaststroke. Learn To Swim The Butterfly Stroke: This article series teaches a set of progressive drills to learn the butterfly stroke. At first, you learn the body undulation and dolphin kick, which are the foundations of the stroke. Then you learn the arm stroke’s underwater phases which are the catch, the pull, and the push. After this, you learn how to do the recovery of the arms above the water. Finally, you integrate all the motions learned in the previous drills and transition into swimming butterfly. Learn To Swim Backstroke: This article series teaches you the backstroke using our series of swimming drills. At first, you practice the flutter kick. Then you practice head-lead balance. After this, the arm movements are practiced on dry land, in the water, each arm individually and then both arms together. Finally, once you have completed all those intermediary steps, you should be able to swim real backstroke. Learn To Swim The Sidestroke: This article series teaches a sequence of drills to learn the sidestroke. At first, you practice the scissor kick and the arm stroke individually on dry land. Next, you practice those motions individually in the water using floating devices. Finally, when you have mastered both techniques individually you combine them to swim sidestroke. Why and How to Practice Swimming Drills? This article explains why swimming drills are one of the best tools to learn a new stroke or to improve one’s swimming technique. 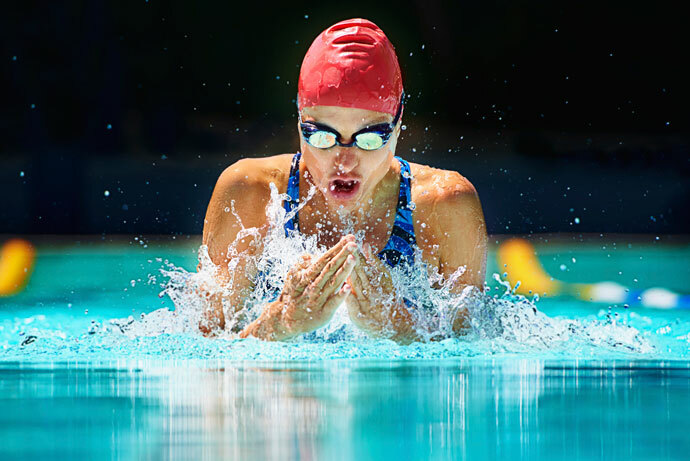 It also discusses how to use swimming drills in your workouts for best results. Very helpful, but I tend to panicked when I feel the water round my face, any ideas? Thank you for the lecture. But I need to ask how can I swim like 8 rounds without getting tired? This will allow you to learn how to swim in a relaxed fashion for a long time. Sir, I don’t have any idea about swimming but I want to win an Olympic gold medal in the 2020 Tokyo Olympic. Is it possible to learn that kind of swimming in 4 years?